Keep it together at home or on the road. 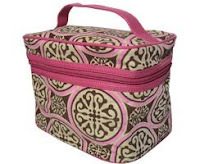 Comes with interior pockets and straps to corral lipsticks and shampoo bottles alike. From Flight 001.